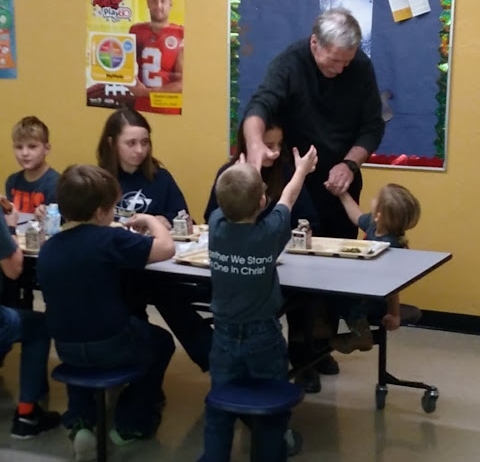 Father is always a big hit when he comes to eat lunch with the school kids. Three staff members were recently honored for years of service at St. Mary's School. 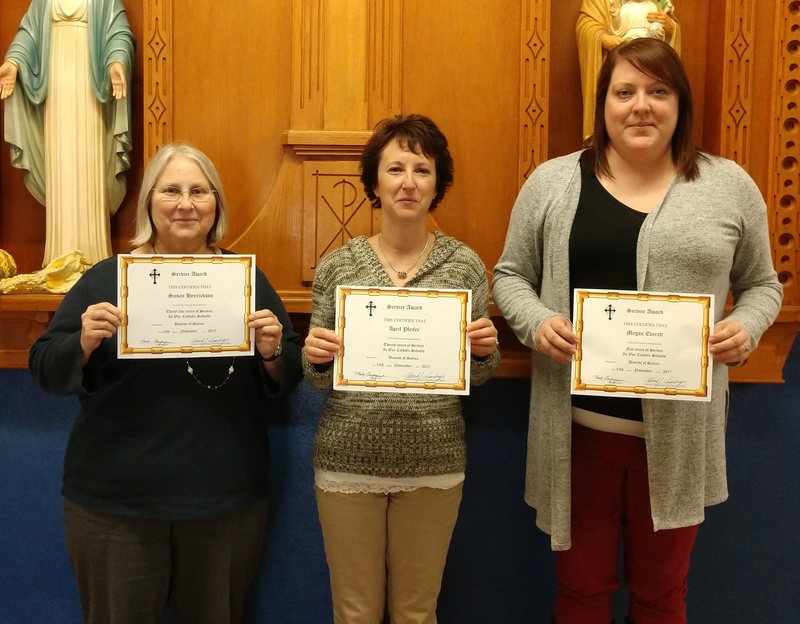 On Friday, November 10, Susan Henrickson, April Pfeifer, and Megan Everett were recognized for their years of service by the Salina Diocese. Susan - 35+ years; April - 20 + years, and Megan - 5 years. 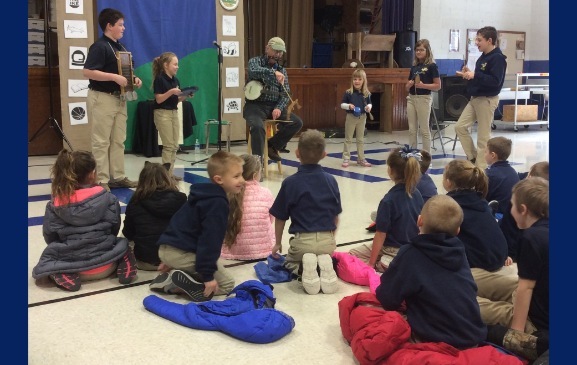 Singing and instruments were used to talk about Kansas Day. The presentation was given by Thad Beach in conjunction with the Hays Arts Council. 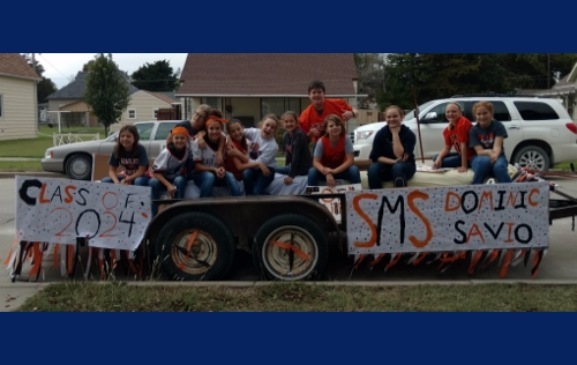 St. Mary's 6th Graders participated in Ellis High School's Homecoming Parade. 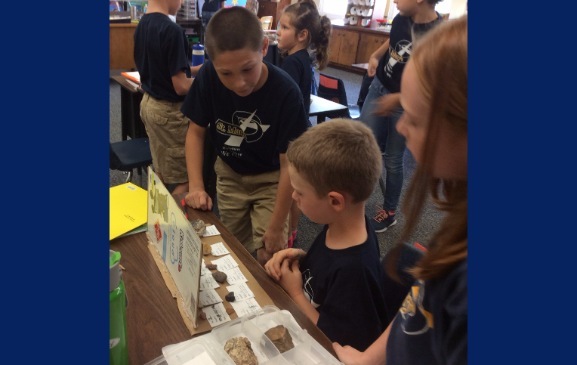 The 6th grade class operates the Dominic Savio Club. Dominic Savio is a saint for teenagers. 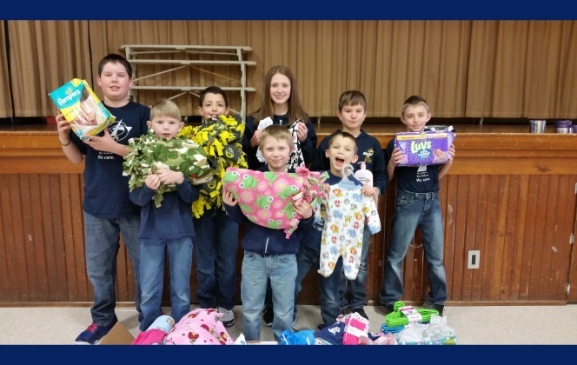 St. Mary's students collected items for the Mary Elizabeth Maternity Home in Hays. 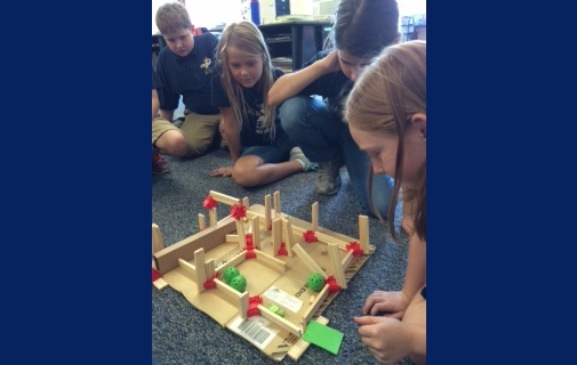 Through a generous grant from the Wiesner Foundation, fourth grade students were able to obtain materials to practice STEAM (Science, Technology, English, Art, and Math) skills. Here is one example of a cooperative group completing a challenge. 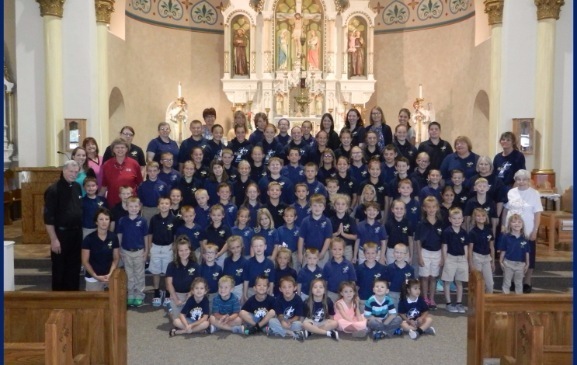 St. Mary's Catholic School exists to allow its students to excel academically, view the world through the prism of faith and apply that knowledge, with love, to themselves and others in the community. 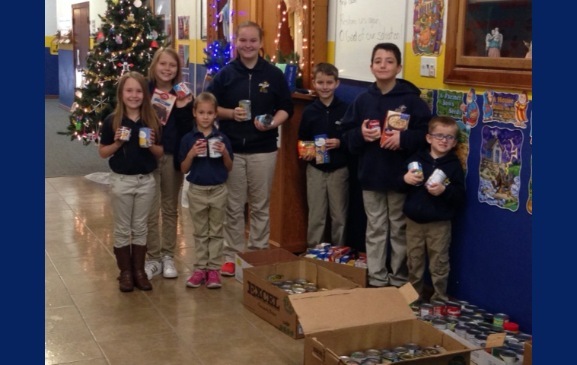 The St. Mary's students helped collect 380 items for the Ellis Food Pantry. These items will be used for the Christmas Food Boxes. Great job students!! 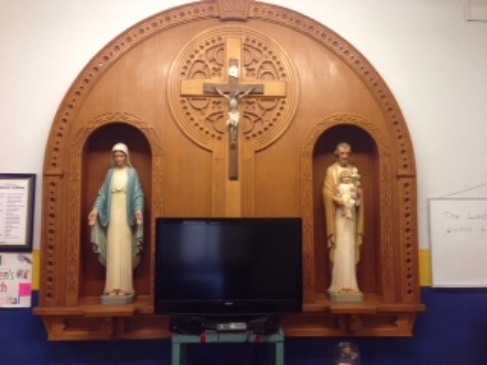 St. Mary's students meet in the foyer in front of the Jesus, Mary, and Joseph statutes every morning for prayer, bible readings, song, and/or announcements. 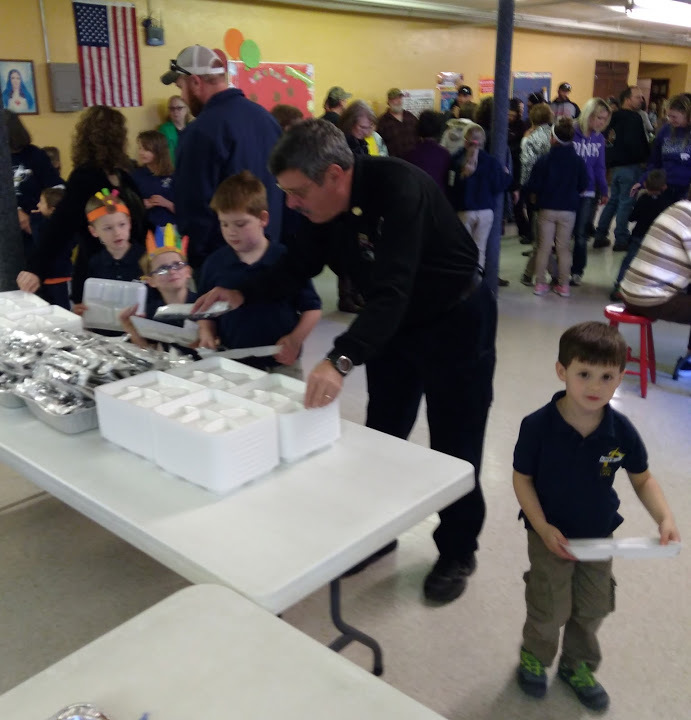 Parents, grandparents, and family members of St. Mary's School were invited to a luncheon on Nov. 21, 2017. 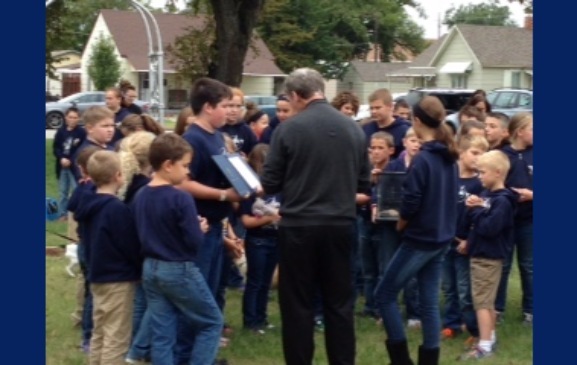 St. Mary's Catholic School had its annual pet blessing in front of the school.